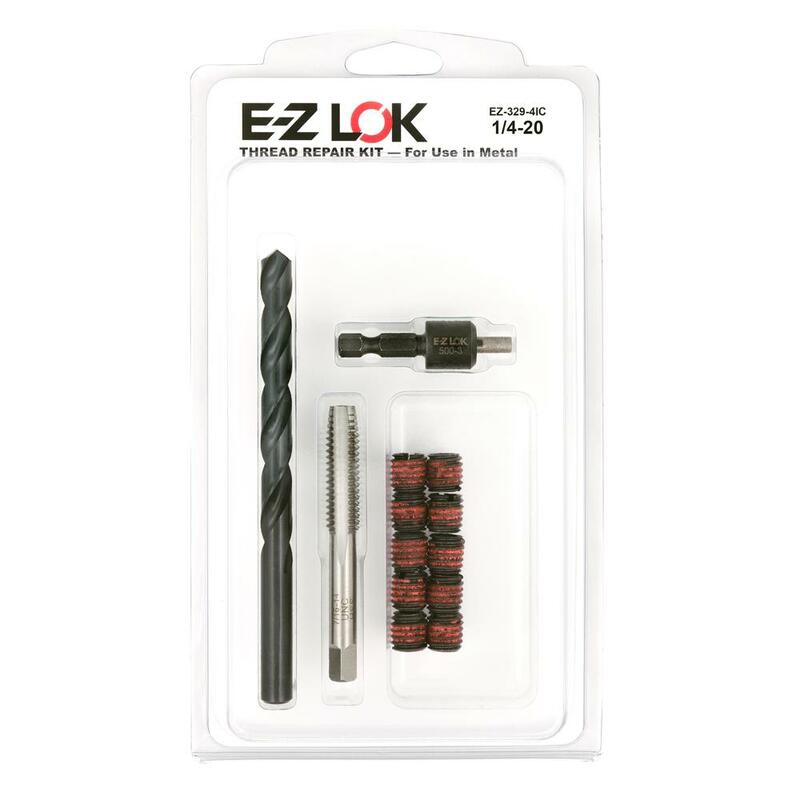 E-Z LOK offers threaded insert kits (thread repair kits) in two different styles. Each prepackaged kit gives you durable, high quality threaded inserts in your choice of internal thread sizes. Thread insert kits are available in inch and metric thread sizes; coarse and fine thread options available. These thread repair kits contain inserts in a range of sizes, providing maintenance teams and other frequent users with an easy-to-store solution for thread repair. Manufactured from carbon steel and 303 stainless steel. Designed for use in metal. 17 “Assortment” thread insert kit options available. 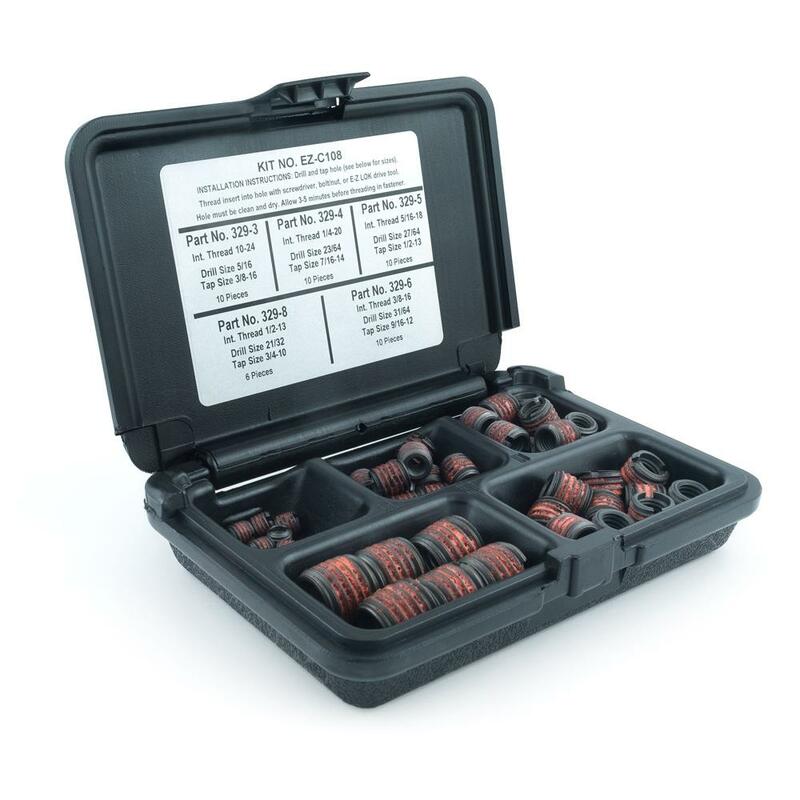 These thread repair kits include 20 single-size Thin Wall inserts, plus a drill, tap, and installation tool. These kits provide everything required to repair damaged threads. Carbon steel construction. Designed for use in metal. 18 “Installation” thread insert kit options available.